This week, Green Lawn Fertilizing announced its recent accreditation by your Better Business Bureau of Washington DC and Eastern PA. As a BBB Accredited Business, Green Lawn Fertilizing is dedicated to promoting trust in the marketplace. Its accreditation will help people understand who the organization is and the core values it believes in. You can visit Green Lawn Fertilizing’s BBB reliability report by visiting www.bbb.org or calling (800) 766-5301. You can also view their reliability by visiting Green Lawn Fertilizing’s Testimonial Page, Local People Love Green Lawn Fertilizing. 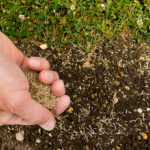 Green Lawn Fertilizing is a local Lawn, Tree and Pest Service Company, dedicated to providing superior services. Every aspect of their business is focused on their commitment to providing the best customer service. Green Lawn Fertilizing’s success is due to great people delivering superior service. Our goal is to build honest, trustworthy relationships with their customers and employees. Green Lawn Fertilizing was established on January 1, 2004 when owner Matt Jesson transitioned the focus from his lawn cutting business, Jesson Landscaping, into Green Lawn Fertilizing, Inc. Green Pest Solutions is the Pest and Termite division of Green Lawn Fertilizing. The team prides itself on 100 plus years of experience in the pest control industry. Green Lawn Fertilizing continues to stand out in the Green Industry by accomplishing and being recognized by the following organizations: 2012 Inc. 5000 Fastest Growing Companies, the Better Business Bureau (BBB) Accreditation, Landscape Management, Angie’s List 2012 Super Service Award winner, the Professional Landcare Network (PLANET), National Pest Management Association (NPMA), Lawn Care Association of Pennsylvania (LCAP), Pennsylvania Pest Management Association, Inc. and Project EverGreen’s GreenCare for Troops. The BBB serving Metro Washington, DC and Eastern Pennsylvania, the leader in advancing marketplace trust, is an unbiased nonprofit organization that sets and upholds high standards for fair and honest business behavior. 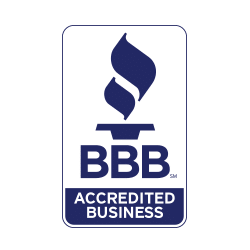 Businesses that earn BBB Accreditation contractually agree and adhere to the organization’s high standards of ethical business behavior. Your BBB provides objective advice, free business BBB reliability Reports and charity BBB Wise Giving Reports, and educational information on topics affecting marketplace trust. To further promoted trust, the BBB also offers complain and dispute resolution support for consumers and businesses when there is difference in viewpoints. The first BBB was founded in 1912. Today, 125 BBB’s serve communities across the U.S. and Canada, evaluating and monitoring more than four million local and national businesses and charities. Please visit www.bbb.org for more information about your BBB.